-- "Reliability Theory of Aging"
-- "Factors of Exceptional Longevity"
"The Perfect Baby Gift. Want your kids to celebrate their 100th birthday or beyond? Then you may want to have them before you hit 25. Researchers from the University of Chicago's Center of Aging have found that a child's chances of becoming a centenarian double if the mother was younger than 25 when she gave birth. The father's age was deemed less important, said Leonid A. Gavrilov, who co-authored the study with his wife, Natalia Gavrilova. (They are both research associates at the center.) Other factors they said may help a child reach 100: growing up in the West, spending part of one's childhood on a farm and being firstborn. Their study, supported by the National Institute on Aging and presented last month to the Population Association of America, drew on data about 198 centenarians born between 1890 and 1893." "What's She Got That You Don't? Among theories Gavrilov offered to explain the findings: a woman's best eggs are fertilized first; younger mothers are likely to be healthier and less subject to career demands; the care from a younger mother may be better or longer-lasting. But Gavrilov said that all theories were speculative and needed further study. The research, he added, was not meant to suggest that young women rush out and have kids." 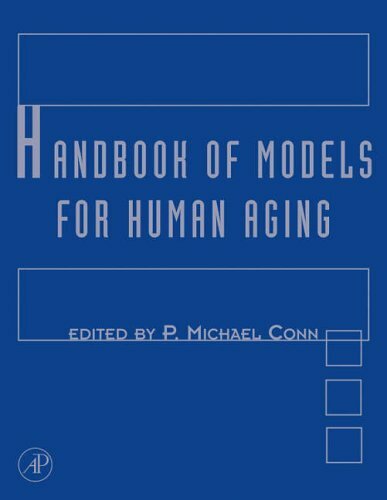 This Handbook is designed as the only comprehensive work available that covers the diversity of aging models currently available. For each animal model, it presents key aspects of biology, nutrition, factors affecting life span, methods of age determination, use in research, and disadvantages/advantes of use. Chapters on comparative models take a broad sweep of age-related diseases, from Alzheimer's to joint disease, cataracts, cancer, and obesity. In addition, there is an historical overview and discussion of model availability, key methods, and ethical issues.